Plus Size Kitten: Looking For Robot Vacuums? 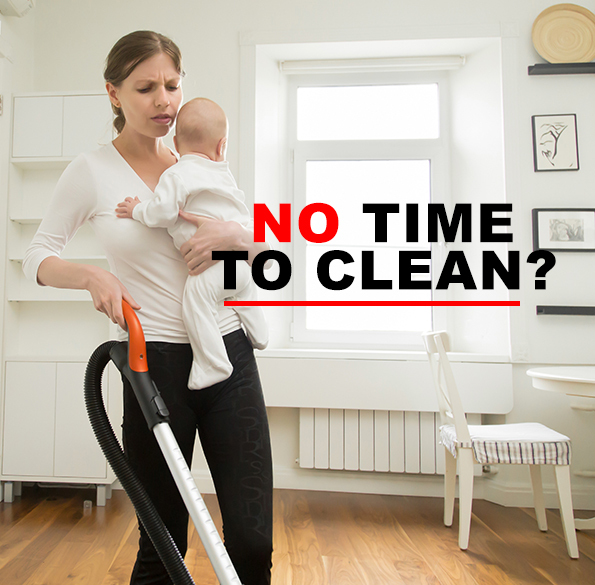 don't you wish you have more time to clean? We're all living increasingly busier lives these days working long hours and not enough hours in the day to finish all of the household chores that need to be done. Don't you wish you had a little bit of help with doing the boring daily task of vacuuming around the house? imagine a clean floor without lifting a finger! Well, now you can breathe a big sigh of relief with the help of Robot Vacuums zooming around and zapping up all the mess from your floor in a few minutes. 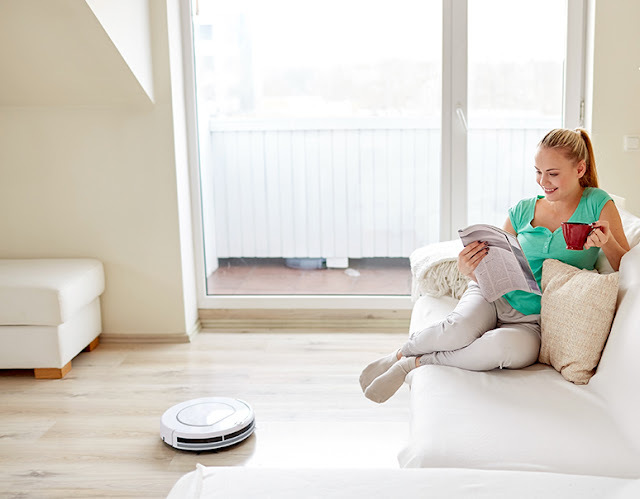 Now that you've been offered a solution, I guess the next thing you're probably thinking about is which Robot Vacuum to choose, as we all know it can be confusing when you walk into a Home Appliance & Electrical store and are faced with so many different kinds of brands and models. 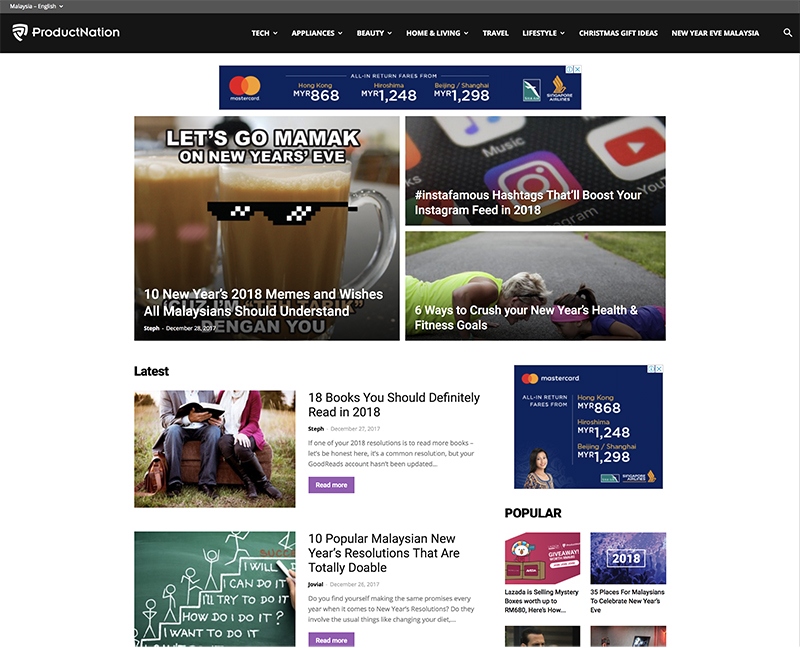 Let me introduce you to Product Nation, a website which offers help to consumers in Malaysia in finding latest genuine independent product reviews and recommendations that are consumer favorites at the right price, on-trend, up to date and available in your region. Not only that, it also connects you directly to the leading and trusted online shops where you can purchase your items. It's like a one-stop shop that saves you time and effort from the boring, monotonous task of searching Google and browsing through numerous websites. Their dedicated team of Editors, who are experts in their own category, put hours of research into finding the right product for you, every search is done manually and covering everything from home and living, home appliances, tech gadgets, beauty products, travel and more. 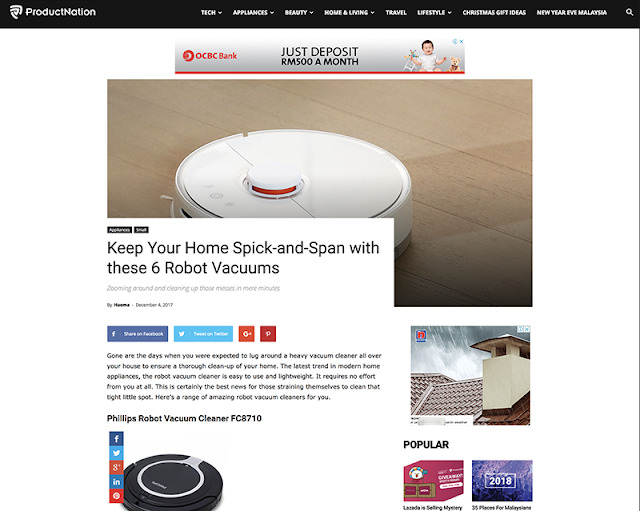 In Product Nation's website under the Appliance category, you can find an intricately detailed article reviewing and evaluating 6 different brand models of Robot Vacuums that are recommended for you according to your requirements and budget. For instance, the cheapest recommended Robot Vacuum is the Dexona 3-in-1 Robotic Vacuum Cleaner and Wet Mopper DXN205, best for maintaining hardwood and laminated flooring RM293.00. In my opinion, Product Nation is a very helpful and innovative website that delivers information which is straight to the point all you need to know, easy to understand and absorb. The website design and navigation are user-friendly and well thought out. But most of all, I got the feeling that they try their best in helping their readers with genuine and detailed reviews and recommendations based on their comprehensive research.